When in New Zealand most visitors will choose to play as many of the top ranked courses in the world as they can. This makes complete sense given how far they have traveled. However for those who have the time, and desire to explore deeper into the Kiwi golf culture, we also can recommend and include a few local courses for itineraries. Kiwi's will call them "country" courses. Tourism New Zealand will refer to them as "experience" courses. We like the term "hidden gem" and Kaitaia GC is certainly one of these! 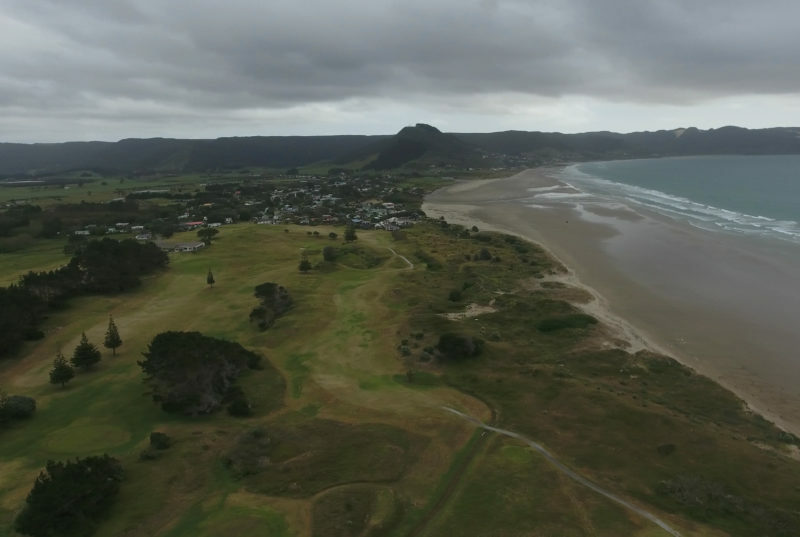 In a country with 350+ golf courses, actually more per capita than anywhere in the world outside of Scotland, New Zealand is prime land for great seaside golf. Rustic locations like Kaitaia exist throughout the country and not only present interesting places to play but an opportunity to get "lost" with locals. Kaitaia is not unlike many of the smaller clubs which dot the country. Don't expect modern practice facilities or fancy clubhouses. An "honesty box" exists for when greens fees need to be slipped into the slot if a starter is not present. Where this differs is in its magical location- situated next to the ocean there are natural undulations that produce interesting rests for the ball. The sandy base is perfect for drainage. It's a piece of land meant for golf. Fair warning however for those who look to visit: Playing here is like stepping back in time to how golf was meant to be played when it was first invented in Scotland. It's no use to complain about imperfect shape of the fairway. There will be a cross wind coming off of the water that can be severe. It may behoove you to practice hitting low bump shots. However, it's all part of the experience! Due to it's location many will never see this gem. It's secluded and takes commitment and time to seek out. We recommend Kaitaia to the same type of person who is likely to hike into the deepest river in order to cast to a fish that hasn't seen man in months. The journey must mean something, but the reward is a every bit of the experience you sought.